Mainly used for manufacturing the rolling part (ball, roller, needle) of rolling bearings and the ring, also can be used to make tools, such as dies, measuring tools, screw tap. Cold heading steel is mainly used in the manufacture of fastening parts including bolts, nuts, screws and so on and for automotive, electric, and mechanic parts. 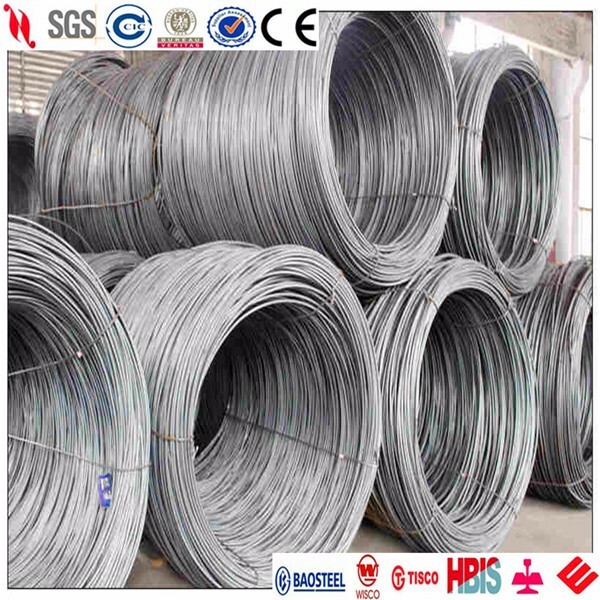 The company can provide cold heading steel of wire rod in coil at all levels of strength. Used in the manufacture of hand tools including Allen wrench, solid wrench, screwdriver, pneumatic screwdriver , socket wrench, etc. Tire cord steel is mainly used for the production of tire cord used as the framework materials of meridian tire for car, truck and planes, with very high tensile strength, outstanding heat resistance and impact resistance performance. As framework materials, it is widely used in rubber products including tires, rubber hose, transportation, etc. The product size is Φ 5.5 ~ 6.5 mm of hot-rolled wire rod, and it is mainly used for production of tie cord wire for meridian tire, outer woven wire and wire winding, hose, bead wire, etc. Tire cord, hose, bead, etc. Tire cord, spring, needle tool, etc. Remark：For the steel with boron, “-B” shall be affixed to the Grade. B content is 0.0008%-0.0025%. Ceq=C+0.3*(Mn-0.4).